Neil Gaiman on Why Your Art Matters - Site de garance-coggins ! 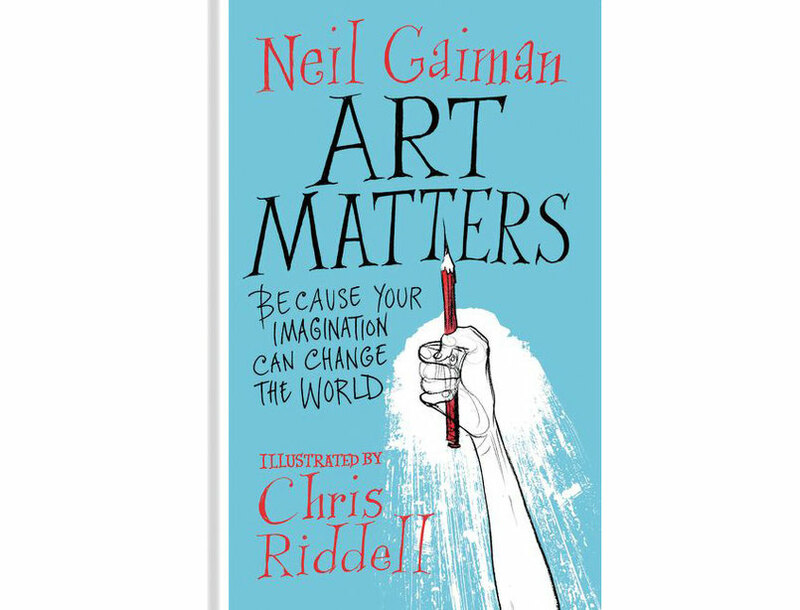 The latest book published by Neil Gaiman and Chris Riddell holds the beautiful name of Art Matters. It consists of a compilation of texts, speeches and blog posts written by Neil Gaiman and illustrated by Chris Riddell. Easy to read, it is lively, holds deep meaning and is also light-hearted at times. Beautifully put together by the joyous, magnificent craft of Chris Riddell, the words of Neil Gaiman can be shared with anyone who’ll put value in art, books, libraries, boldness, creativity. If you’re on a journey to a creative path, you may find wisdom to feed upon in their work. I certainly have. Here are some of the best pieces I’ve taken from the text and the lecture. By all means read the book, where all of this, and more, is beautifully put both in words and pictures.